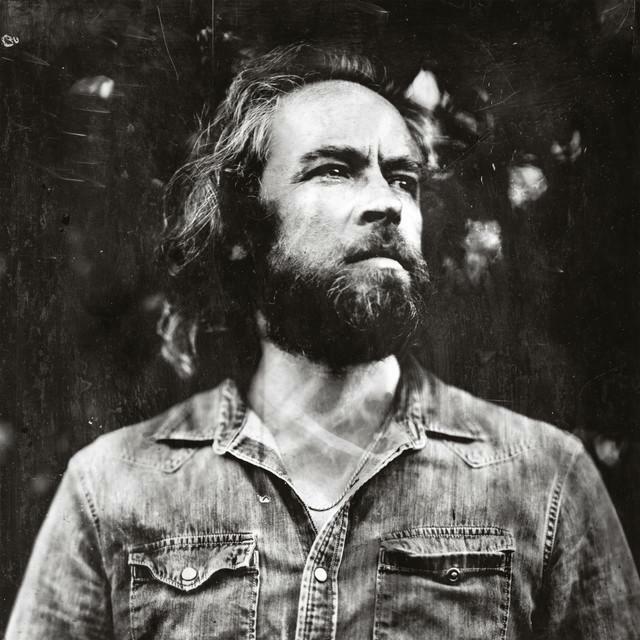 Two years later than ‘Heavy Love’, out on February 2015, the London-based singer-songwriter and multi-instrumentalist Duke Garwood is back with a new solo album, ‘Garden of Ashes’, out last February 3rd out as its predecessor under Heavenly Recordings. His sixth solo album, ‘Garden of Ashes’ has been defined by Garwood himself during an interview as it was a blues album recorded in the desert, with this reflecting back through the music, ‘in the tranquillity’. The idea was fundamentally to realise music made of pure energy, the concretisation of the idea of nothingness, no buildings, no claustrophobia, no strange energy, ‘just like the wind’, concentrating as consequence not on the exterior reality but on interior contents. A record that’s actually a lot introspective, but how could it be different when you abstray yourself from reality and concentrate just on your fantastic imagery, and in which Duke Garwood appears to be possessed by the so-called ghosts of the music of the devil, the blues of the Mississippi delta in all of its incarnations. Inevitably compared to his mate Mark Lanegan, with who he also collaborated in several occasions in the past (the two released a featured album together on 2013, ‘Black Pudding’, produced by Justin Smith and mixed by Alain Johannes and out also under Heavenly Rec. ), the voice of Duke Garwood on the other hand reminds a lot the one by the fomer Screaming Trees’ singer and grunge icon. And we’re not completely wrong if we consider the two like they were actually one the ghost of the other and it’s not a case probably that (I know that manys wouldn’t agree on the fact Lanegan has lost a lot of his inspiration in the last years, but things actually stay so) the album they realised together has been probably the best thing Lanegan released from a very long time to nowaday. Mark Lanegan who on the other hand is going to release new materials in the next months in what is going to be a new solo album later than ‘Phantom Radio’ and that’s of course awaited anxiously by all of his fanatics, who I would eventually like for sure to suggest to give a listen to Garwood if they’re going to appreciate that kind of smokey and dark blues sonorities who made the Ellensburg singer and songwriter famous and that could eventually be typical or artists and musicians like Hugo Race, Mick Harvey, Chris Brokaw… Releasing himself from every possible context, Duke Garwood is a free lysergic blues singer and musician, alterning dark ballads with gospel choirs as the two episodes of ‘Coldblooded’, the two that most show references to Mark Lanegan and possibly the best episodes of the album, with revisioned lamented blues of the Delta of the Mississippi on electric guitars in the style of Hugo Race as ‘Sing To The Sky’, ‘Garden Of Ashes’, iconic amplified fuzzy boogies (‘Sonny Boogie’, ‘Move On Softly’, ‘Heat Us Down’) and solemn Nick Cave’s recitals (‘Hard Dreams’) or even Leonard Cohen’s ‘afterworld’ (‘Sleep’). The final result it’s an album in which Duke eventually decided to give to the songs a very few sophisticated arrangments, trying to make all of them in the most raw possible way. He possibly perfectly figured out in its intent, realising what it’s actually one of the most interesting blues releases of the last period and an album good to heal your and purify your souls from all of the scum of the concrete life that possibly infected us and because we all need redemption and moments of deep contemplation. Like this one.